It’s been a busy few months for me since my last blog. You may remember that I have struggled on and off with niggling injuries that have interrupted my running. 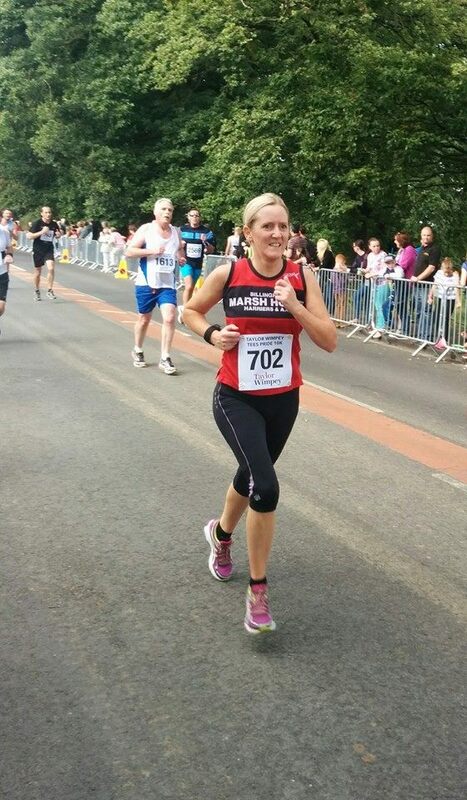 2014 saw me return to running and I completed events including Stockton Duathlon, various 10k’s including Middlesbrough in which I got my personal best time of 48.46 and Vale of York half marathon, again achieving a personal best of 1 hour 54 mins. I also managed to get to a few Saturday morning parkruns and I managed to get my 5k time down to 23.31. 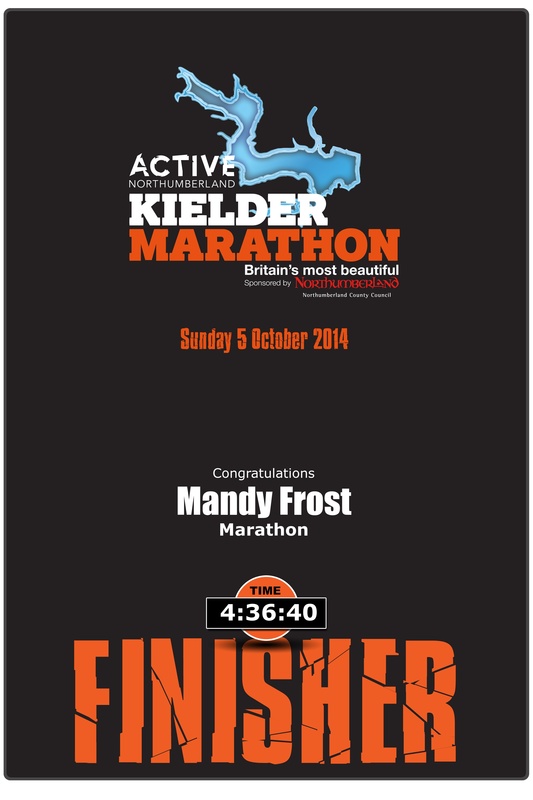 All was going well and Kielder marathon was still my target. Once I started increasing my mileage in the marathon training I did start to suffer on and off with niggles once again. Nothing too serious to stop me running but worrying nonetheless. Kielder marathon came around and I had done all I could, I felt fit but a little concerned whether I would make it round injury free. My worst fears were realised at around 6 miles when I started to have pain in my right hip (buttock to be honest). I was so disappointed as my time up to this point was right on schedule to get my desired time of sub 4.30 (previous PB was 4hr 36.40). However, I had wanted to run this marathon for 2 years and I was determined to finish. A couple of miles further on and after a couple of stretching stops another old issue reared its ugly head – my knee on the opposite leg started to get painful. I couldn’t believe this was happening. I popped a couple of Ibuprofen (desperate measures, not really advisable) but these only slightly took the edge off. It was getting increasingly painful and that was slowing me down, my sub 4.30 was slipping away. I have never been so relieved to see the finish line and as I crossed it I burst into tears. It was the sheer relief of actually finishing and also being able to stop. Incredibly my time was exactly the same as when I ran it in 2012 – 4 hours 36 minutes and 40 seconds!! At the time I was gutted that it hadn’t gone to plan but after a couple of days i was actually proud that against the odds I carried on and completed the marathon albeit in agony. 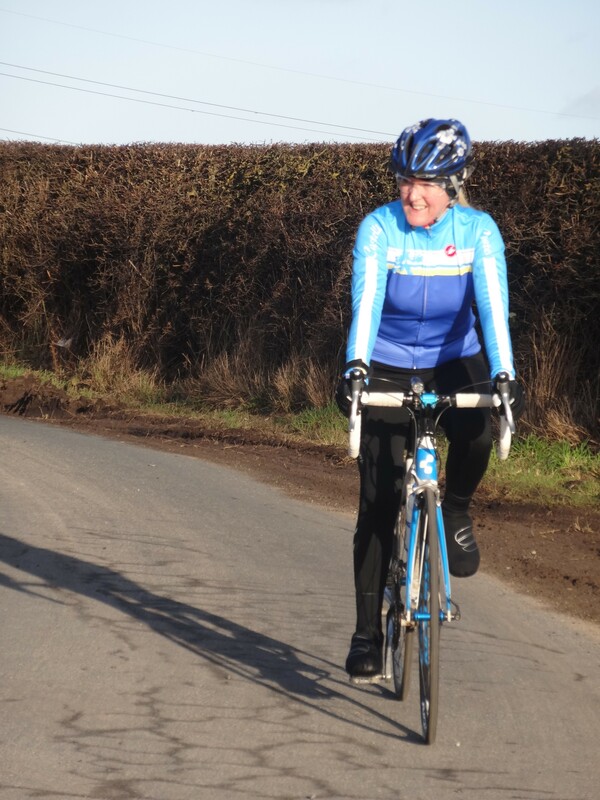 I have been unable to run properly since the marathon so cycling has taken over as my exercise of choice. I’ve been able to build confidence on the bike and have started to really enjoy it. So 2015 sees me taking on new challenges that I’ve not done before. The big goal is in September when me and my husband will be taking part in the Rat Race Coast to Coast Adventure Race. This involves getting from the East coast of Scotland to the West by running, cycling and kayaking. Its 105 miles over 2 days and as it’s in the Scottish Highlands, it’s very hilly!! In preparation for this i have again entered Stockton Duathlon and a 70km Sportive in Keswick which is part of the Keswick Mountain Festival. I will also be spending a lot more time on the road bike with some mountain biking too. February is an exciting month. My family and I are going on a ski/snowboarding holiday, I’ve not skied in 16 years so that will be an interesting challenge! 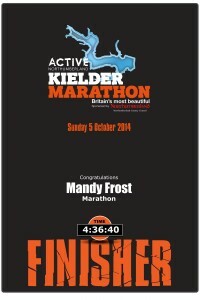 And before that I am attending the Steve Cram Training Camp up in Kielder with my Kielder running buddy Alison. We both love Kielder so this is a great opportunity for us. Despite not being running fit at the moment, there are lots of things on the agenda with training advice, guest speakers and sports massage. I’ll be at the front of the queue for that! I’m currently addressing the issues I have so I can get back out running too. I’ve started strength training with Supreme Training once a week which I really enjoy and I’m undergoing physio with North Yorkshire Physiotherapy. I’m hoping the changes I’m making to my exercise regime make me stronger and less prone to overuse injuries. Mandy Frost Sports Massage Therapy is also keeping me very busy and the business is going from strength to strength, more than tripling the number of clients in the last 12 months. 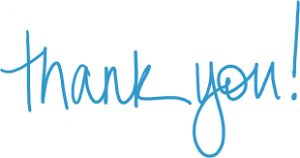 Thank you all for your support and for recommending me to others, it is greatly appreciated! Finally let me wish you all a happy and healthy 2015 and I hope you achieve everything you set out to!